Dubai’s love for free zones is quite evident from the fact that it hosts 30 out of total 45 free zones in UAE. Few of these free zones are of general type that are open for all types of businesses while others are established to facilitate specific type of business activity. Such free zones provide lots of facilities and incentives to the particular type of business they favor. Dubai has established several free zones for growth of media and its related fields in the emirate. These include Dubai Media City (DMC), Dubai Internet City, Dubai Production City and others. An important among these is the Dubai Studio City (DSC). DSC was launched in 2005 mainly to facilitate companies related to film production, broadcasting, music, TV and entertainment. Currently, around 275 companies have established their business in DSC and these companies have employed more than 2500 people. These companies are representing various parts of world as they comprise more than 90 nationalities. As this is an exclusive free zone like several other free zones in Dubai, it is providing all the facilities required for running a production process. Few of these facilities include large sound stages, backlots, production offices, recording studios, sets, offices, water tanks etc. These facilities clearly indicate that DSC is trying its best to attract world’s best film production houses along with TV and other companies of entertainment industry. DSC has already achieved quite success in attracting big media houses. In 2008, Dubai Studio City hosted film program in collaboration with Manhattan Film Academy. It is expected that the companies related to the related field will enter in large number in future due to advancement in the facilities provided by DMC for its customers. So, it is quite clear that DSC is the best place in the MENA region for companies related to film, TV and media. 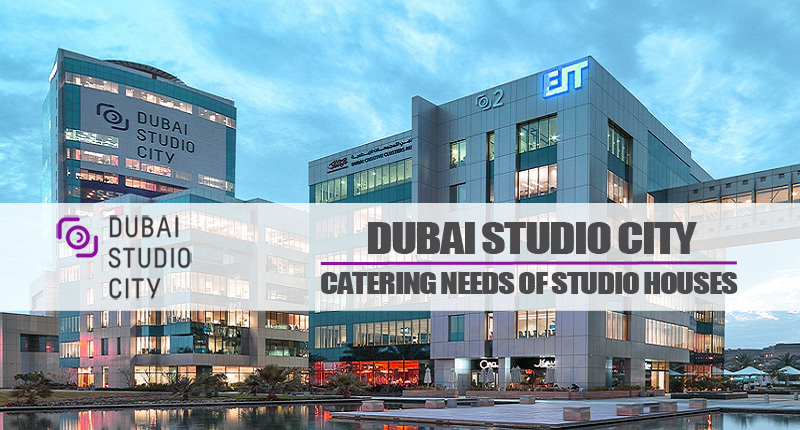 Many international companies have already setup their business in Dubai Studio City and we are expecting more to come in future to avail exclusive advantages available here. Setting up your business is not a difficult procedure in DSC. Like most of other free zones, there are several types of companies allowed to be established in DSC. The registration process is also simple that only demand extremely necessary documents. If you own a company related to media or entertainment industry and want to take advantage of the opportunities available in DSC, then you can contact Riz & Mona Consultancy for complete information and guidance. We have lots of happy clients running their businesses in DSC and other free zone sin Dubai and other UAE emirates.